A platinum diamond wedding band. 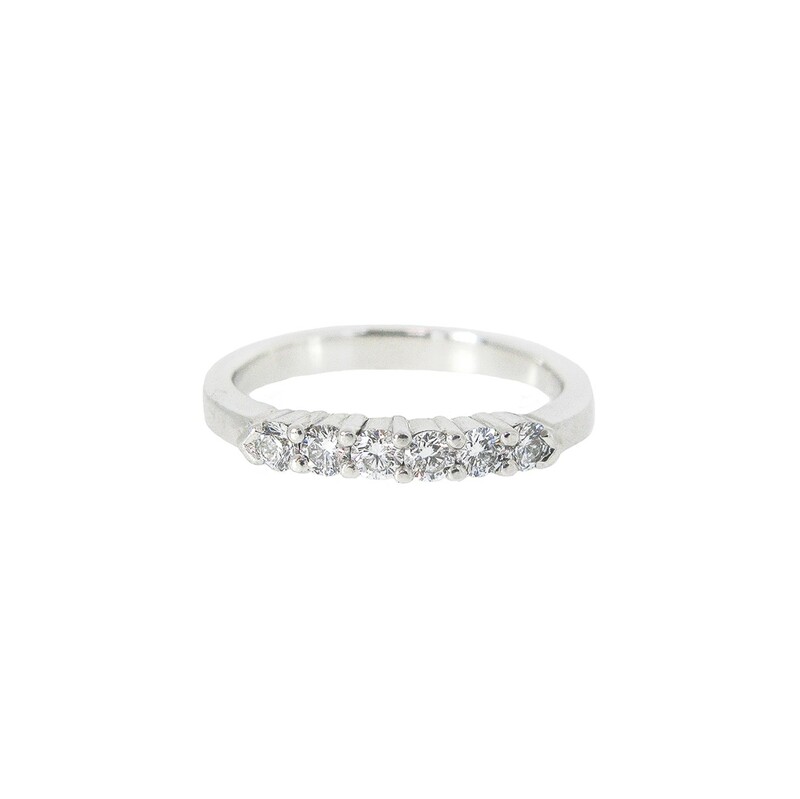 The ring is claw set with six round brilliant cut diamonds spaced over one third of the ring. Love platinum? You’ll adore our pear cut diamond platinum necklace. Follow the link for more details.